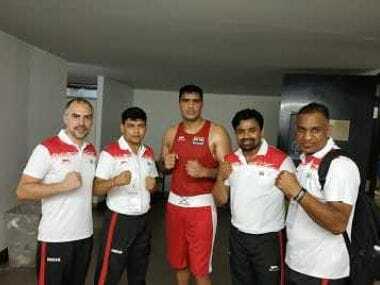 Indian boxers have been cleared of any doping violation by the Commonwealth Games Federation (CGF), and the only punishment handed out is a gentle slap on the wrist for a young doctor for an infringement of the Games' 'no-needle' policy. Chairman Richard Powers (Canada), David Harry (Guernsey) and Patrick Fepuleai (Samoa) decided that a strong written reprimand be issued to Dr Amol Patil, the Indian boxing team's physician and scientific adviser, for breaching the strict 'no-needle' policy by leaving the needles unsecured in his room. "The needles in question were not disposed of until he had made two trips to the Polyclinic," the CGF said in a statement. 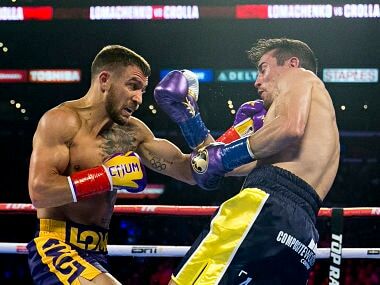 Patil can consider himself fortunate that the court took a lenient view of his not filing the requisite Injection Declaration Form after injecting a vitamin shot to a boxer who was reportedly unwell. It accepted his plea that he had sent an e-mail to the CGF Medical Commission, but didn't take note of the timeline — that it was done only after the needles were discovered and an enquiry was made. Clearly, Messrs Powers, Harry and Fepuleai went by the rulebook in arriving at their decision: That Patil hadn't breached the clause that demanded that an Injection Declaration Form be submitted to the CGF Medical Commission. And now they would never know if the young doctor intended to send an e-mail at all. Clearly, his e-mail was sent after investigations had started into the breach. It is curious that the Federation Court accepted the IOA's plea that the 326-member contingent had only two doctors and a physiotherapist (when in fact the IOA list on its website has as many as 15 physios). It also took note of the fact that both doctors were first-timers at the Commonwealth Games. Patil, who completed a post-graduate diploma in sports medicine from NIS as recently as 2016, and who took up a position with the Boxing Federation of India last year, must be a relieved man. Or so it seemed as he made it to the IOA office in the Games Village after the verdict was delivered and posed for photographs with secretary (Sports) Rahul Bhatnagar. Less than a couple of hours after being reprimanded, Patil was driven to the penumbra by the emergence of a letter written by Saina Nehwal addressed to IOA secretary-general Rajeev Mehta, threatening against participating at the Games if her father wasn't given an accreditation that would secure him a bed at the Games Village. And yet, it's unlikely that he will ever again give an athlete an injection without keeping a bin at hand for immediate and correct disposal of the needle and syringe. It can only be hoped that this will go down as a crucial lesson for the younger crop of sports medicine doctors, eager as they are to be a part of the burgeoning sports industry in the country. 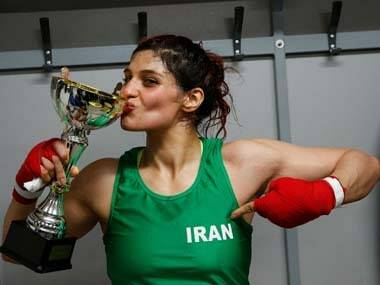 As for the IOA, it remains to be seen if it steps in and takes decisive action against the personnel involved in the needless drama — Patil, men's boxing coach Santiago Nevia and team manager Ajay Narang. The first two clearly breached the 'no-needle' policy of the CGF. And the latter sought to mislead everyone with an outrageous holier-than-thou excuse. It's a moot question to ask whether the IOA should let the doctor continue on his assignment. After all, he first breached the 'no-needle' policy by not disposing the needles in the manner prescribed, and then disposed them in a water bottle and placed it in a bin. Moreover, Patil's actions brought further scrutiny on the Indian contingent and impacted its preparations as well. Nevia, the boxing team's high performance manager, would have approved the injection to the boxer. After all, he acknowledged to the host broadcaster Channel 7 that Patil had indeed used the needles to inject multivitamins into a purportedly ill boxer. The experienced Nevia appears to not have reminded Patil that he needed to comply with the 'no-needle' policy. Perhaps the most serious issue that it needs to consider is whether contingent manager Ajay Narang should remain in Gold Coast. He was quoted by an AFP report as saying that as a good citizen, he was responsible for turning in the bottle with the syringe to the CGF Medical Commission officials and that it had nothing to do with the Indian contingent. As an Asian Sailing Federation official, he would have known that he is as culpable as the young doctor and the Swedish high performance coach. 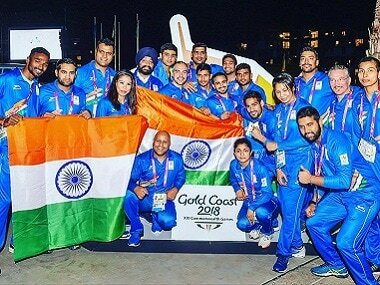 And it would only be appropriate if IOA relieves him of his duties with the contingent in Gold Coast. But yes, this is a futile wish to nurse since IOA's only public response to the whole saga was a post on Twitter. That tweet was an expression of relief that there was no doping charge laid against India. It also put out an assurance that there would be no further infractions of CGF's policies and directed national sports federations to comply strictly with the 'no-needle' policy. And it thanked Boxing Federation of India (BFI) president Ajay Singh for his cooperation in resolving the issue. And yes, the IOA's track record is abysmal, and as expected, it pointed at the reprimand for the doctor and swept all else under the carpet. It would hope that a flurry of medals will engulf the controversies. Yet, if it does some soul-searching, it may ensure that like player selection, official appointments are also done with well-defined yardsticks for future assignments.